Blogging has existed for what may seem like eons on Internet terms; however it is now more than ever that it can truly fulfil its potential. Most blogs are at best average, regurgitating former bloggers regurgitations – so, if you want your blog to be the best you have to prove it to the customer. It’s possible to really utilise the blog and in doing so create an invaluable source of information that increases sales and also traffic. So, how do you do it – well, here are a few tips. Most blogs only reach a small percentage of your potential audience, however there is the odd one that really nails it and zings up the traffic. The imperative to success is to think for yourself and to persist with it. There are very few things in this universe that come easy and blogging obeys the laws too. Essentially, it’s 99% work and 1% talent. One thing that can give you leverage, and it goes back to the last point we made about self-thought, is to blog as if you were the consumer. What questions would you ask about your company if you were the customer, what would you be worried about and what would you be interested in? If you run a fish factory, perhaps a blog on how your company is sustainable will be of interest. Be honest and give them worth and try not to rehash the same old crap – people aren’t stupid you know! When we talk about being honest, we also mean your blog should offer your opinion and not just float along on an endless sea of mediocrity. If all the blogs are rehashing and regurgitating the same crap and you don’t necessarily agree with it – then say so. Go against the grain and make a well thought out point. 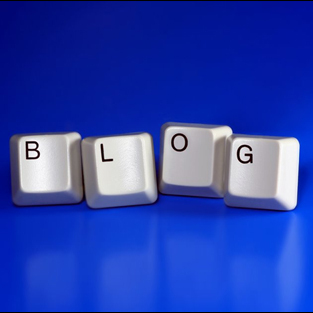 Blogging, even corporate blogging is not about lip service, it’s about opinions – so, have some and write about them. Even if people disagree, there will be others who will agree or take your point into consideration anyhow. One of the best ways to create interest is to be timely. Journalists learn the 5 W’s and bloggers could learn a lot from this technique. Use this to talk about current and relevant events in a timely manner and engage people. There is nothing as interesting as the topics of the present and offering an opinion on them or using them for your own nefarious means will provide you with traffic and sales, if done well. Blogging is not easy, it’s not simple and it’s not without controversy – that’s if it’s good. If it’s none of these things it obeys the laws of the universe.